The Millenium Cross is a 66-meter tall cross that’s located on the highest point of Vodno Mountain. 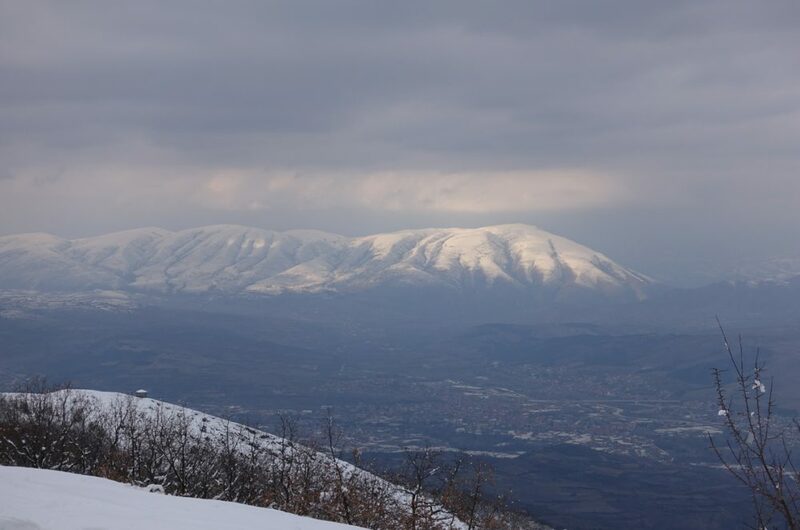 The cross was erected in 2002 as a memorial of 2,000 years of Christianity in Macedonia. 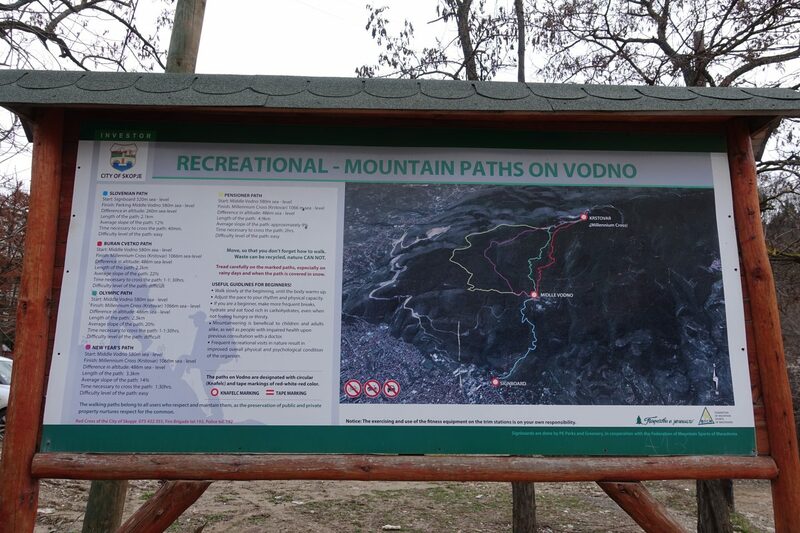 The top of Vodo Mountain can be reached via various trails or by taking the cable car. We greatly enjoy hiking and taking the bus to the cable car was out of question! We ended up hiking all the way from the base station of the cable car which took a little under two hours. All we did was follow google maps’ directions. We even met a handful of fellow hikers along the way. The hike was quite demanding and, due to it raining the day before, also fairly muddy. 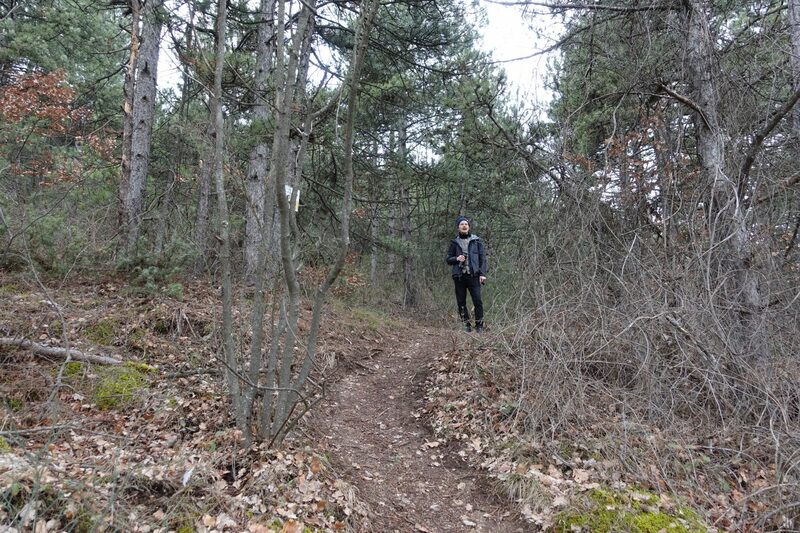 The majority of the hike was straight through the muddy forest and there also weren’t too many signs. As long as you continue to follow google maps’ direction you should reach the base station of the cable car. 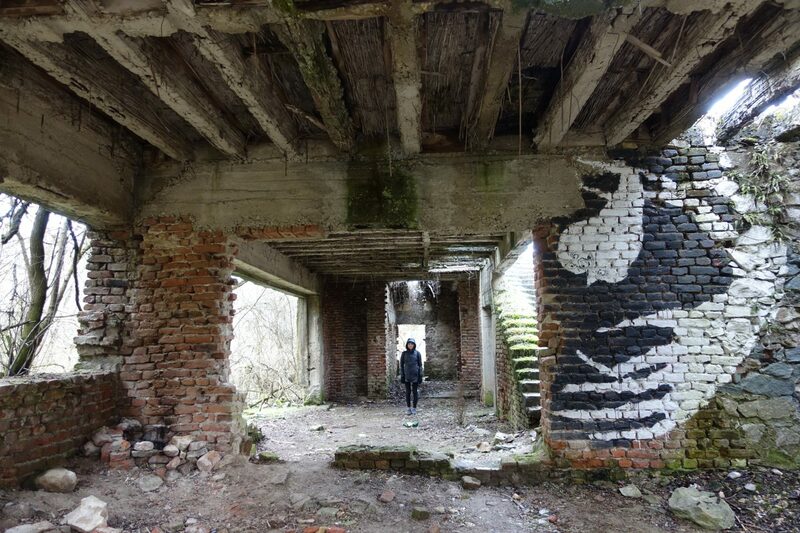 Along the trail are several abandoned houses and ruins that are waiting to be explored. 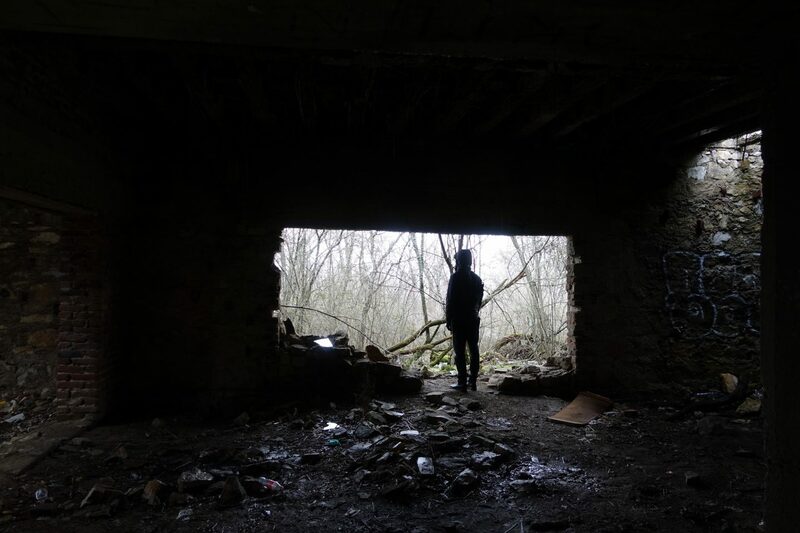 Being a lover of abandoned structures I couldn’t resist and wandered around a little in one of them. While there is only really one proper trail from the base of the mountain to the base station of the cable care, there are several trails leading all the way to the millennium cross. 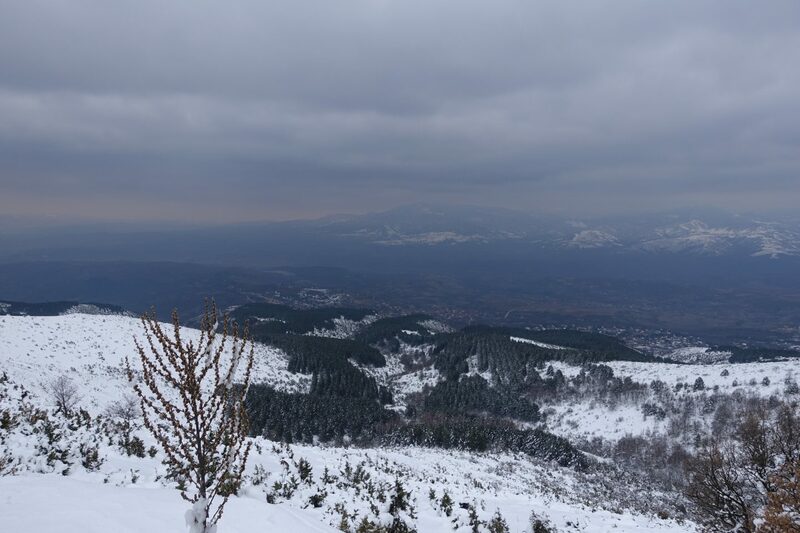 If you are adventurous and if weather permits hiking up the mountain could be an option. I’d simply check-in with locals beforehand to get a feel for what may await you. We only hiked up to the base station of the cable car where we ended up catching the cable car all the way up to the top. The cable car is open Tuesday to Sunday and while it is open every day except Monday, it doesn’t run all day. The cable car runs every 30 minutes from 10 AM to 4:30 PM. When we first arrived I thought the cable car was closed because there wasn’t anyone there. 15 minutes after our arrival the cable car was running and the ticket booth was open – round-trip tickets for adults are 100 MKD (February 2018). 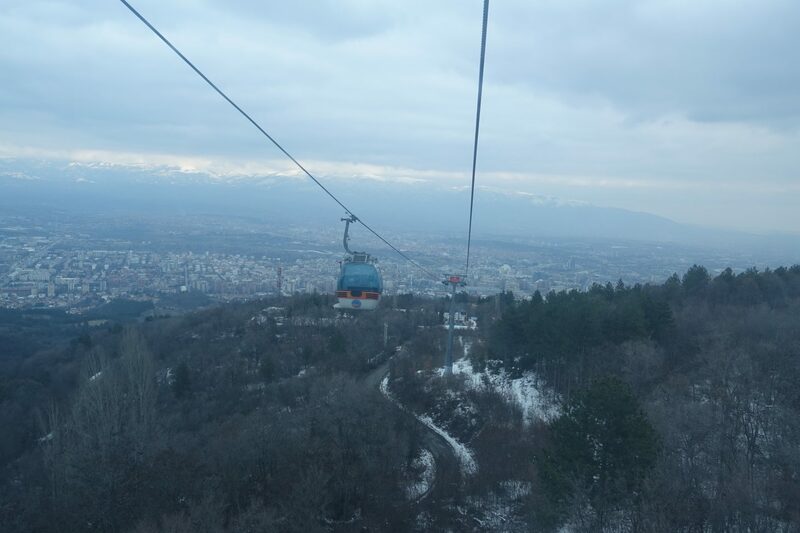 The cable car offered amazing views and we were all the way at the top within 10 minutes. If you are going in the winter as we did, be prepared for it to be freezing up there. The minute I stepped out of the cable car I wanted to run right back inside. It was that cold! The views were so worth it though! It was spectacular! We ended up staying for only 10 minutes and got the next cable car back. There wasn’t a lot of time as the cable car was only open for 30 minutes, we needed to act fast. While we could have taken the bus down, we choose hiking once again. We ended up hiking all the way down the mountain to our apartment. 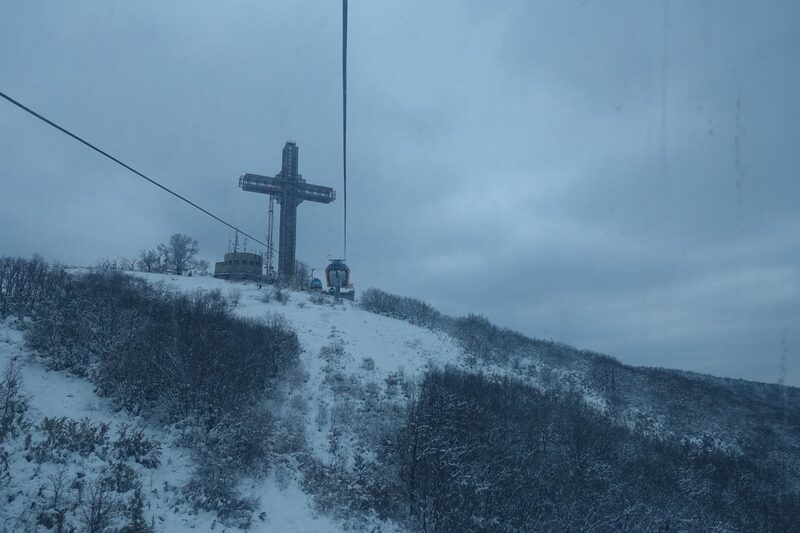 While I don’t care much about the cross, let’s be real, I greatly enjoyed the cable car ride and the views from the top.